Dornbracht stands for high quality in fittings | InteriorPark. 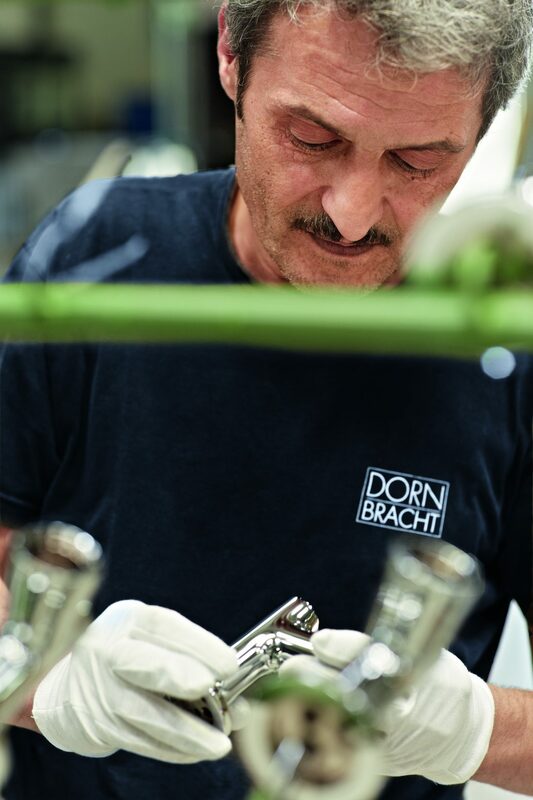 Dornbracht sets the highest standards for the design, materials and finishes of its fittings. 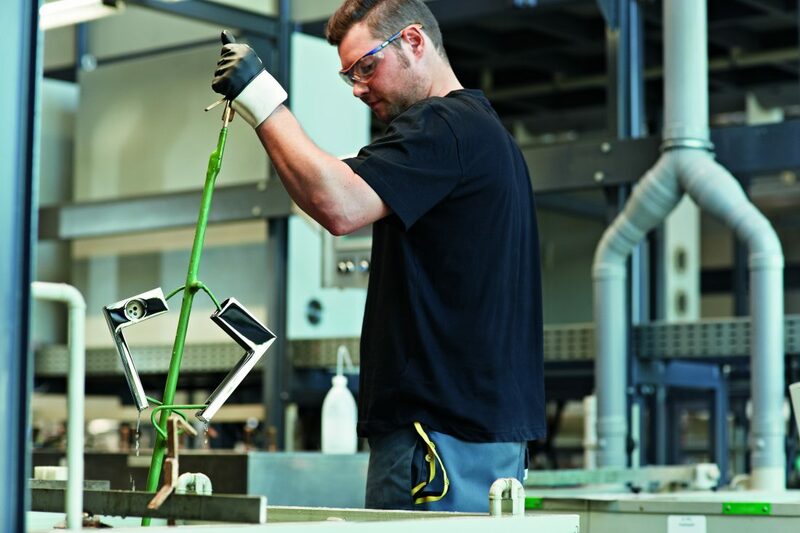 And when the product has left the Iserlohn location, the company also ensures the quality of the workmanship of the tradespeople, by intensive training and long-term partnerships. 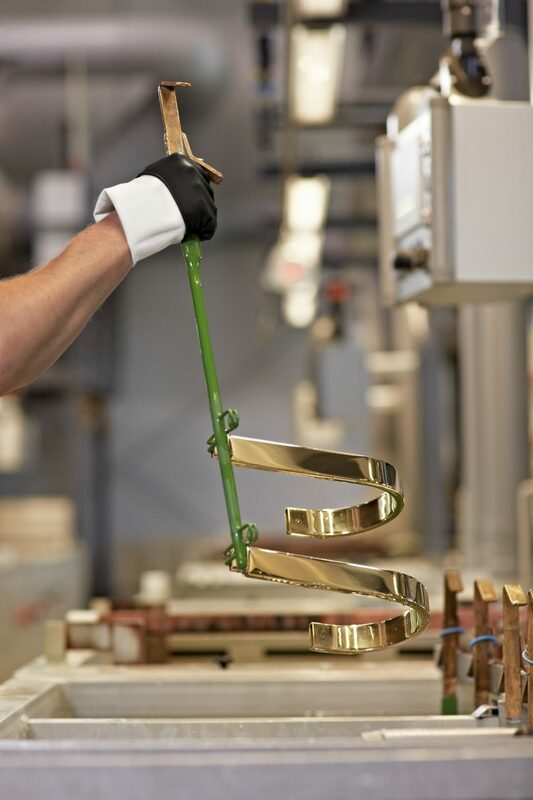 “We represent a consistently high standard and provide the highest quality of manufacture”, says Managing Director Andreas Dornbracht and points out that this is only possible because the family company still produces 100% of its products in Germany. 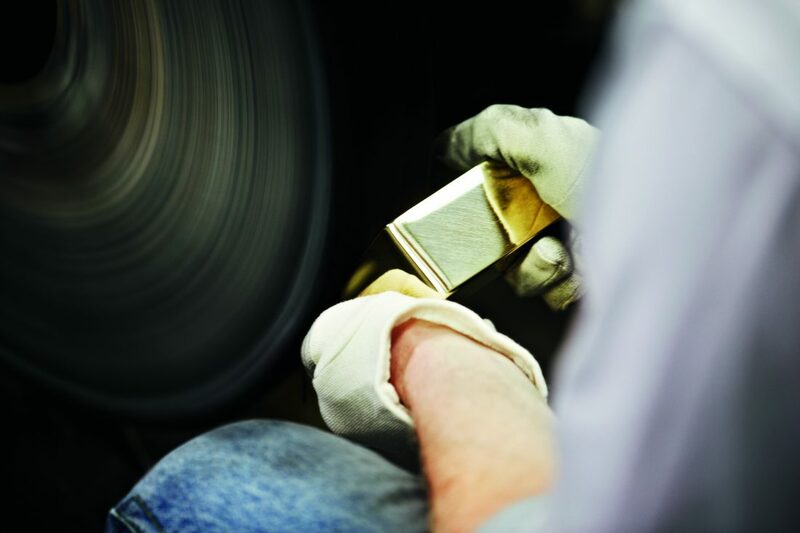 Dornbracht represents quality that is ‘Made in Germany’. 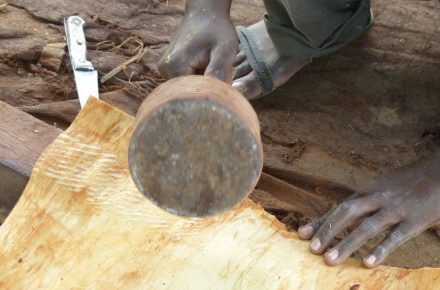 The design of the products is an expression of individual cultures in the kitchen and bathroom and does not follow fashion trends. Although Dornbracht fittings, such as the classic ‘Tara’ design, have been copied many times, nothing has ever achieved such creative and functional durability. The products, fittings, accessories, and systems such as the new ‘Ambiance Tuning Technique’, are unique and irreplaceable. 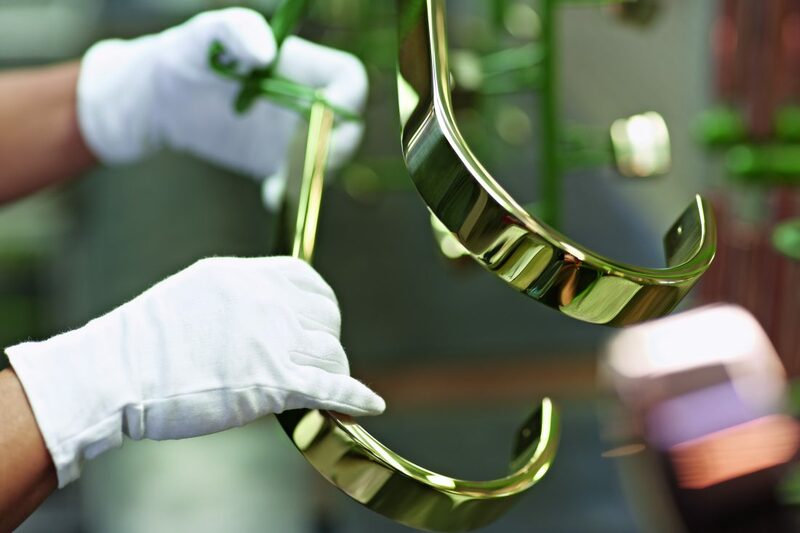 Electroplating – which has always been the most important added-value process in the production of premium products – was fundamentally re-designed in 2009 and 2010 and is now one of the most modern production systems in the world for gold, platinum and chrome finishes. 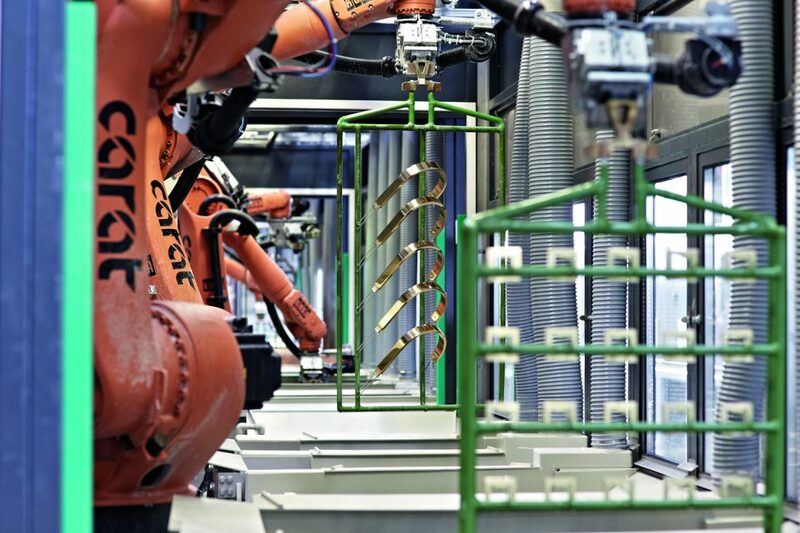 Here Dornbracht claims that the plating robots are capable of giving a perfect finish to even the most complex of components, with minimal waste. 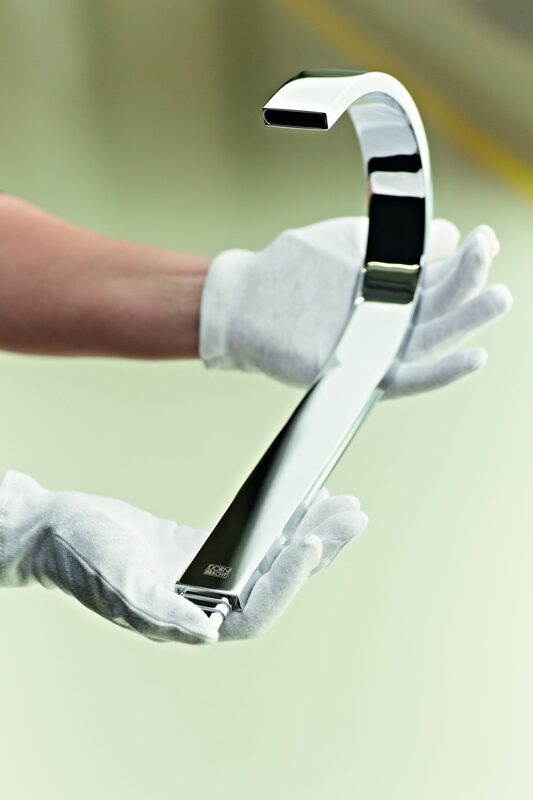 As Matthias Dornbracht, the Managing Director responsible for Production, Logistics and Purchasing puts it, “Not a single millimetre, not a single radius is to be changed for the sake of increasing the number of items manufactured in a time unit”. Production takes second place to design. That also comes under quality, as far as Dornbracht is concerned.